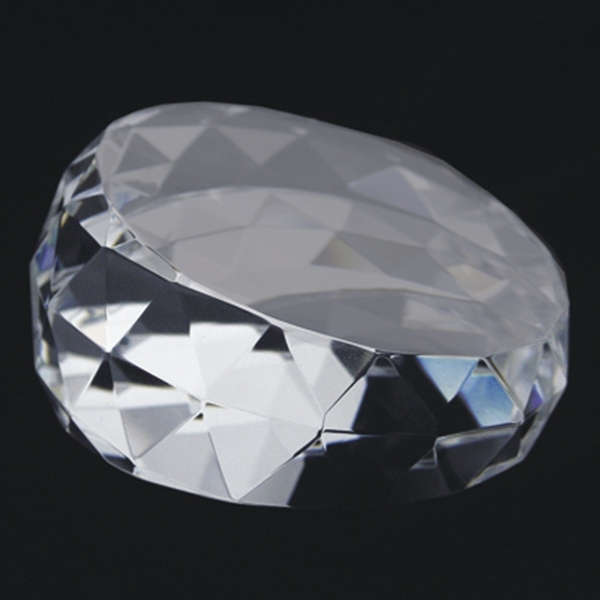 Add highly polished elegance to any desktop with this Crystal Facet Paperweight. The perfect wedge shape of this piece shows off corporate logos or text beautifully, while the faceted sides blaze in the light, refracting brilliant rainbows! Laser engraving on the bottom to magnify or the top for versatility will result in a frosty white color providing excellent contrast.